Americans are too early to the holiday party no matter what the holiday. Halloween decorations show up in July. Valentine hearts will be on the shelves before most children have lost interest in their Christmas presents. Poor Thanksgiving gets the shortest shrift of all. At its heart, it's a day focused on family and food, which is being squeezed out by the frenzy of sales that start the next day. The shelves of the hardware store illustrate this. 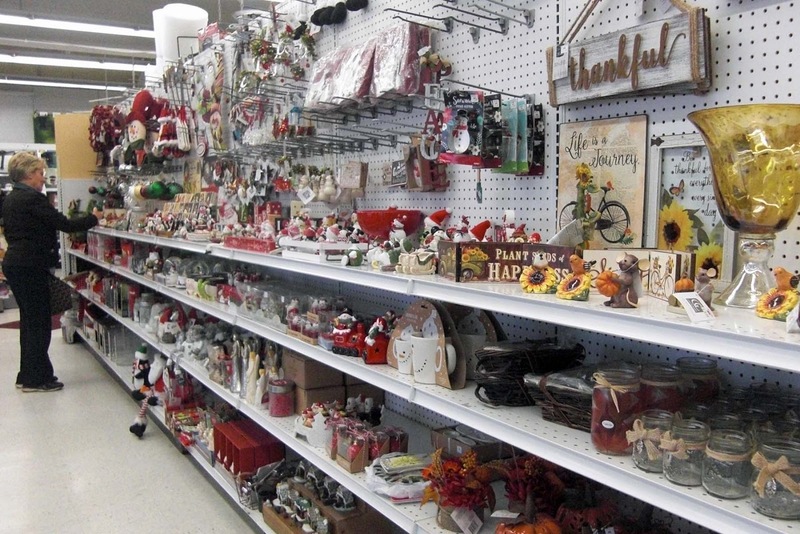 Days before Thanksgiving, autumn colors and reminders to be thankful have surrendered most of the shelf space to Christmas tchotchkes. I like snowmen and Santas as much as anyone, but it's impossible not to feel a bit sorry for the scarecrows, pumpkins and gentle reminders of families gathering to celebrate the harvest.